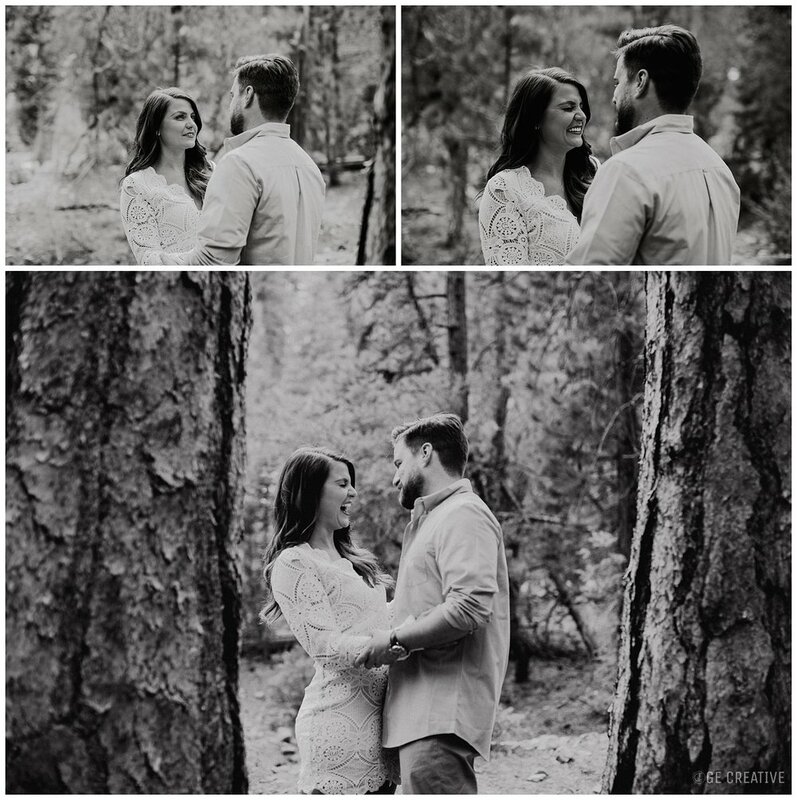 This engagement + session was a long time coming my friends! I met these two nearly 4 years ago when I first moved to Milwaukee. We all worked together at Trinity and from the start Bri has welcomed me with open arms and Chris is a great conversationalist. We formed a friendship that picks up whenever we see each other again. They first told me I was going to shoot their wedding 3 years ago when I was the photographer for friends of ours. I was just starting out (it was my 5th wedding!) and they weren't engaged yet. Fast forward to last summer- Chris finally asked Bri and they set a date-- in October of 2019! We ran into each other late last summer and they informally (beverages were involved ;) ) asked me to be their photographer. Typically I won't book 2+ years out but they've remained dedicated + supportive of me since day one. Can I put the thank you + prayer hand emoji in here please? 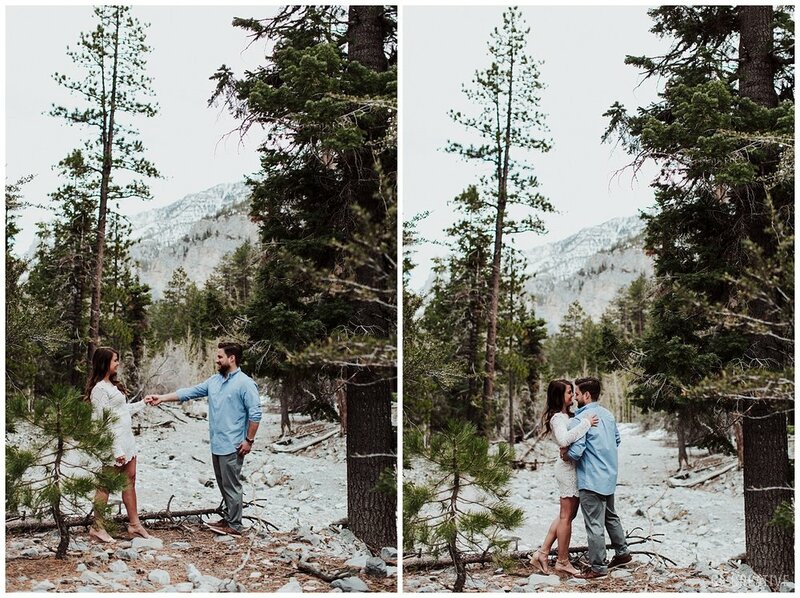 Initially, the engagement session was planned for Wisconsin- BUT Bri is a traveling nurse and is currently in Las Vegas, NV. When she first proposed flying me out there I was shocked. A huge career goal of mine is to do more destination/travel work and finding people that are willing (and convinced!) to bring me to them. I had been dying to shoot in dramatic scenery (mountains/desert) for a year or so - many of my favorite photographers are based out West and I love the desert light at sunset and the "big scene" photos you can get in the mountains. So when Bri asked if I would be willing to come shoot in the mountains and desert outside of Vegas I nearly burst. I said yes in .2 seconds and the planning began. It was a quick two day trip but we didn't waist a second; we talked relationships, growing up, school and careers, love, weddings, and pretty much anything else you can think of. We started the afternoon in Mount Charleston. I knew the bright mid day light would be blocked out by the trees in the forest and give us a really soft glow. Our second location(s) was Red Rock Canyon National Park - oh my gosh was I in heaven! Talk about a million different ideas and "sets" to work with- talk about idea over drive in this setting. 100% need to shoot in the desert again and again. The light was bright but not harsh- shooting into dusk was awesome because at the end it was almost too dark for my camera. In post production I was able to bring them up for a warm, soft, grainy glow. The rock formations and views for days paired with Bri + Chris definitely delivered!! They have this excited, energetic chemistry that was easy to bring out. I knew getting soft, calm moments were going to be a little tricky since these two are the opposite of that but my serious prompts + questions helped elicit both reactions. Chris + Bri would usually start calm+intimate and bust out laughing when they couldn't take themselves serious anymore. 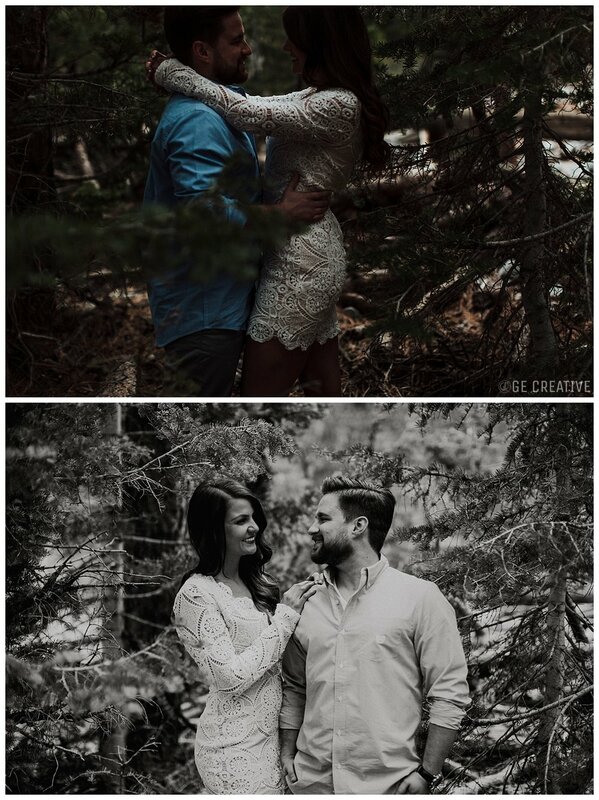 They really stayed open to the entire engagement session and how I approach the "posing process". I am so beyond happy with how these turned out - it was just what to doctor ordered to reinvigorate my mental state for the upcoming year! It's humbling to have people support you, and be excited by your work. I could have cried seeing their reactions when I first showed them their previews- seeing that joy and excitement- ahhhhhhhhh all the stress + self doubt disappear. Those moments only solidify how grateful I am to be doing what I get to do. Thank you Bri + Chris for pouring that appreciation and hospitality when I visited. I am beyond excited to continue this friendship and be with you for your wedding day!